Some times it is necessary to protect executable file with password to stop using it from other users. So here is a small tool which can help you to protect any executable with password. 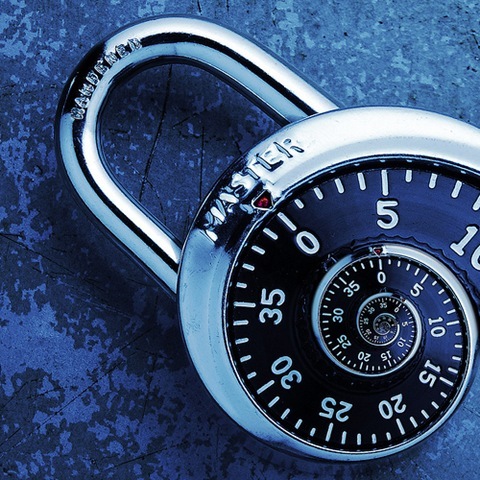 We have seen many software to lock folders and others with the help of software, But most of them don’t aware of software to lock exe files. 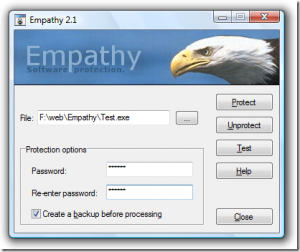 Empathy is one such program it helps you to protect any exe file with password, It is a small tool and it is very portable to use. You don’t need to install this software before using this one, it is just a standalone file so that we can run it anywhere without installation. Think that, you are using pen drive with standalone password management tool, and you don’t like to install or run anyone without your knowledge then what you do? Are able to take care of that all the time? NO, it’s not possible. In such stiuation we can make use of Empathy software to password protect our executable (*.exe) file. One thing I like in Empathy software is, if we create a password protect executable file and if we move that exe file to another system it is still password protected! you don’t need to worry about it. The Bad thing is, you’re not able to protect exe file with more than one password without having a full license. Yes it is Free, but not a Freeware. It is postcardware means you are required to send a Post card to the developer address with your photo taken in your country or place. After receiving that post card, the developer will send the License Key to you through email. Empathy is postcardware. This means that if you want to use it with all functions (the possibility to use more than one character-long password), you have to register it by sending me a paper postcard. After receiving the postcard I will send you a special code by e-mail to unlock the advanced functionality. Do not forget to supply your name and your e-mail address. Without this information I will not be able to send the code to you. What I love about this software is, its portability. I really like portable software much, they just do what I need without playing with my registry. Thanks Arun for sharing this with us.